The auto/transportation niche encompasses several subcategories – cars & trucks affiliate programs and the sub-niches within them being one of them. These two types of vehicles are the focus of the niche rather than spreading too thin covering other topics like boating, cycles, planes, and more. There’s a lot an affiliate can do within this niche. Car rentals, accessories, and tools & supplies are the top three types of offers one would pair with cars & trucks affiliate programs. This introduces thousands of opportunities to make money. A well-positioned car and truck blog likely aligns with your passion. Who wouldn’t enjoy making passive income while talking about vehicles? Plus, the fun community built around it! All this possible when adding car offers and truck promotions. Cars & trucks affiliate programs – especially with parts – offer a mix of percentage-based and fixed commissions and payouts. Some parts will earn a few pennies while big builds could bring in thousands. It all depends on the scope of your blog, its target, and how involved you get. And here’s the kicker: Own a vehicle? Like to work on it? You’re already halfway there. Answering questions about your favorite makes and models will get you started. Expanding into repairs and tutorials will solidify your position. Going above and beyond by networking, attending events, and help people maintain or create something great is mind-blowingly profitable. Paired with a cross-selection of high paying cars & trucks affiliate programs offers and promotions and you’ll turn this love for all things autos into a real money-maker. All the hallmarks of the auto industry are still there – but it’s evolving rapidly. Tech-savvy individuals have options. Many are buying cars online. Even more, are ordering parts. The classic car scene is exploding. And, tech is creating a new type of mechanic. In all, the market penetration of the auto industry has created a necessity for these items. Your audience has vehicles… they’re looking for good information and resources. Let’s have a reminder: More than 1 billion motor vehicles are on the road throughout the world. You don’t have people coming to your auto blog if they don’t have a vehicle. You’ll get a chunk of visitors looking for news and industry stats. But, most visit because they want advice. Advice creates leverage whenever you’re promoting offers. With a vehicle, you can’t fix the problem without tools, parts, and accessories. This is your leverage with the tutorials and resources. You present how it’s done… they buy the product to do it. You earn a commission for each sale you generate through a cars & trucks program. That’s not all. Car maintenance, repairs, and restorations do a switch. People willing to DIY typically won’t go back to paying a mechanic for basic services. They’re comfortable with doing these items. All they needed was a great tutorial and clear instructions. This means they’re willing to buy parts & accessories for most projects – many are willing to do all the fixes! Most cars & trucks affiliate programs include a 30-45-day cookie. This gives you plenty of time to further convince visitors to follow through with the guidance. Many programs include extensive resources to help with promotions, dedicated teams, and regular improvements to increase conversions. The offers and promotions sell themselves. Like we mentioned… You can’t fix a car or truck without the part. Many car programs offer 5-8% commissions for each sale – imagine that commission if they buy a new or used car through one of your links! Or, if they order a couple parts for a big DIY repair or customization. This adds up fast! What else could you do to promote high paying car & truck offers? Everyone loves a good story, too. Tell how and why you’re involved with the auto industry. Or, keep a journal of how you’ve serviced vehicles as this will show off you know what you’re doing. It’s a bit like a journey – especially if you’re in the process of restoring a car! 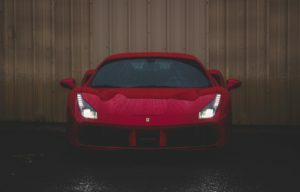 There are several roads to go down when pairing car & trucks affiliate programs with an automotive blog. Each has a unique set of opportunities for becoming an authority on its subject. All can include car programs to make money. Love cars? Love trucks? Great, this is the niche for you.